Companies across the globe are all facing the same economic headwinds: business change in the form of competitive threats and new opportunities is coming at an unprecedented pace. The watchword for meeting these challenges is innovation – both in terms of business processes as well as the underlying technology that enables those processes. 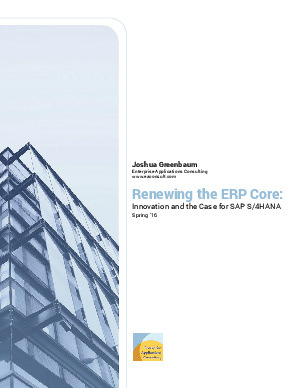 The sum of the experiences discussed in this report showcase how SAP S/4HANA, running on-premise or in the cloud, can form the basis for a broad-based business transformation that does not require a big bang implementation to succeed.